FEMMEQ POP-UP: the emerging power of feminine intelligence. During this evening and one-day event, we will explore, inquire and discover the potency and power of the deep feminine qualities and values that exist in both women and men: the potency of COMPASSION, the gift of DEEP LISTENING, the brilliance of INTUITION and the warmth of INCLUSIVITY. We are inviting you to join women and men around the world who are awakening these qualities within and reclaiming their authority of power to serve the greater good, to protect and honour life and shape a world which serves human flourishing and planetary regeneration. By building community and doing this together we have the opportunity to fundamentally transform the way decisions are made, the way politics is conducted and how society functions. 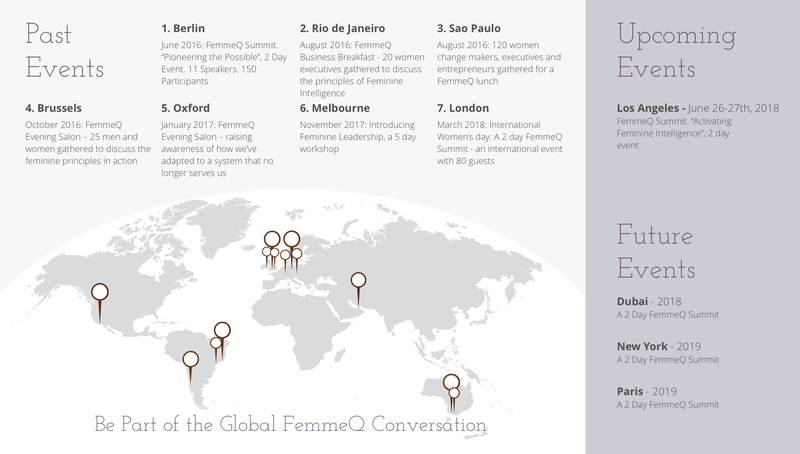 We are thrilled to launch our very first FEMMEQ pop-up in the United Kingdom at Hawkwood College and look forward to seeing you there.